Venue: Baker’s Street – By invitation only. The eternal puzzle on “how to have it all” is rarely away from our minds for long; juggling work, family and the frequently forgotten “ourselves” is ironically one many of us just don’t have time to put together! WE thought it would be interesting, informative and inspirational to hear how one woman, a wife, mother, partner in her own solicitors practice, social being and her own woman achieves her balance and what her balance is. Many of us would say that having it all depends on what your “all” means. Ritu’s wheel of life helps us to identify the different areas and each chapter expands upon each concept and provides long forgotten realisations and practical advice. Through her personal real life experiences, one can find affinity and applicability to the concepts she extols and through her words and vision maybe we too can learn to find what having it all really means to us and how to achieve it for ourselves. Of course there isn’t a cookie cutter solution for us all but learning from the experiences of others opens doors and a new level of possibilities and ideas for us to build upon. Ritu has found her All NOW and we hope through this book launch and event, you too can find the answers to your “all” and start your journey “NOW”. 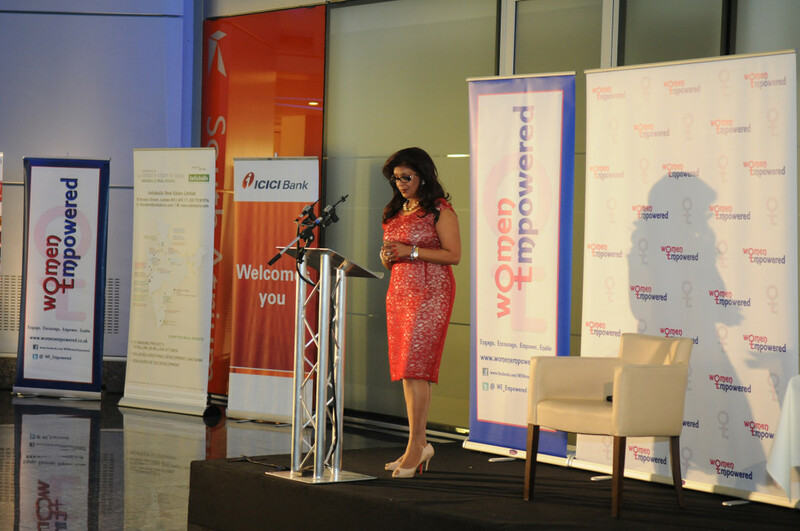 Ritu Sethi has won many awards and accolades for Law and Business and is the winner of “First Woman of Business Service Award 2008” for Business excellence by the CBI and Real business, Business Woman of the Year 2008 by The Asian Woman awards in association with Bank of Ireland and most recently winner of Female Entrepreneur of the year 2012 at The Asian Awards by the British Business Foundation at The Houses of Parliament. Won the Asian Business Women of the Year 2000 award, awarded by the European Federation of Black Women Business Owners, sponsored by BT. Nominated for Asian Achievement award for Business Women of the Year 2003. Nominated for Legal Personality by Society of Asian Lawyers of the year award in year 2005. Nominated for Asian Business award 2006. Nominated for Professional of the Year at the Asian Achievers Awards 2007. Nominated for the Professional Excellence Jewel Award in September 2007. Won Businesswoman category of the India International Awards 2008. 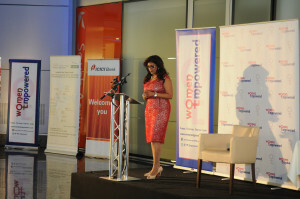 Won ‘Business category at the First Women Achievement Awards’ 2008. 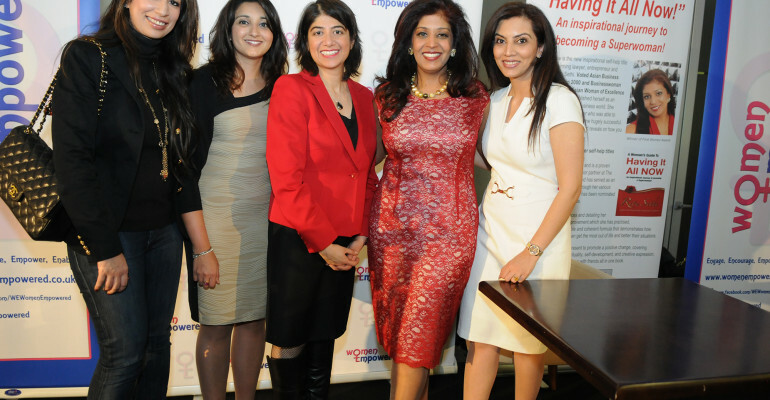 Won Businesswoman of the year 2008 from the Asian Woman of Excellence Awards 2008. 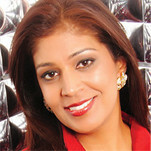 Presenter of Chai with Ritu programme on Sky T.V .October 2006 until January 2007. This was a series of 13 programmes which Ritu Sethi hosted on the British Asian journey in Britain featuring people from all walks of life. This was a lively discussional programme. 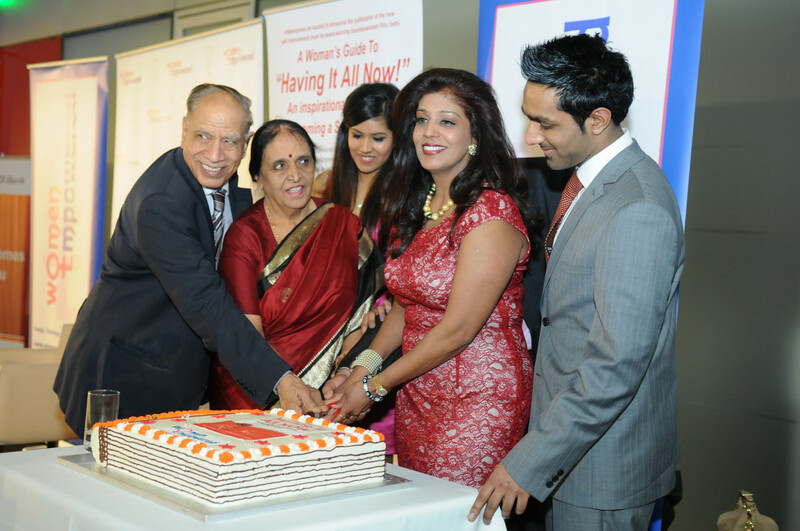 Press Release - Women Empowered Book Launch of “A Women’s Guide to Having it All Now” By Ritu Sethi. Images courtesy of Sonny Sehgal and Raj Bakrania. The eternal puzzle, “how to have it all”, is rarely away from our minds for long; juggling work, family and the frequently forgotten “ourselves” is ironically one many of us just don’t have time to put together! 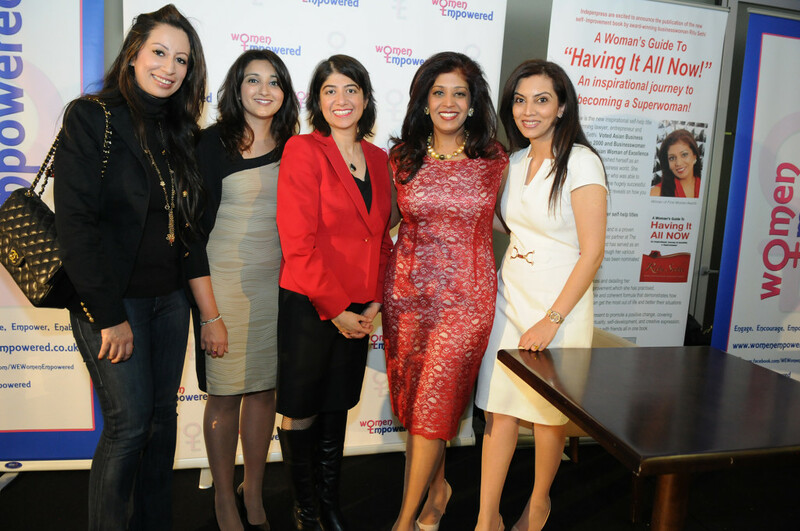 In the hope of coming someway closer to finding the answer to this perennial dilemma and fittingly during International Women’s Week, Women Empowered launched “A Woman’s Guide to Having it All Now” By Ritu Sethi at Bright Courtyard Club in Baker Street on Wednesday 6th March 2013. Ritu Sethi, who has won many awards and accolades for Law and Business, shared her personal real life experiences, from overcoming professional hardships by remaining resolute and determined and not accepting failure to what she believed were the secrets to a healthy marriage. Ritu has based her book on a “Wheel of Life” that helps one to put perspective, focus and balance to various key aspects of life. Ritu stressed that if more women became leaders in their chosen fields and thought leaders, then more women would benefit from getting the balance right and staying longer in the workforce. She went on to say that it is for our generation to make the difference and change the power dynamics to reflect equality. Through listening to Ritu’s story the women and men present found affinity and applicability to the concepts she extolled and through her words and vision maybe they too could learn to find what having it all really means to them and how to achieve it for themselves. Sadly there isn’t a simple cookie cutter solution for us all but learning from the experiences of others opens doors and a new level of possibilities and ideas for us to build upon. Women Empowered (WE) is a social grass roots initiative which takes topics that are salient to women and aim to create an evening of discussion, inspiration and motivation around that topic. They work with enabling partners to take that vision to the next level by putting them in touch with organisations that can nurture their ideas and mentors who can assist in achieving those goals. WE aims to empower women to make the best of their individual skills and talents and help them to achieve whatever personal and professional goals they may have. WE aims to provide women with a forum, a platform and a network where they could find support, mentoring and inspiration to try and get out of life everything they want or make a difference to themselves as they feel is needed. – whatever that special thing is, it is the thing that makes the difference to your life as you see it. A Woman’s Guide to Having It All Now by Ritu Sethi, is available for £9.99 on Amazon.com, Kindle, Waterstones. 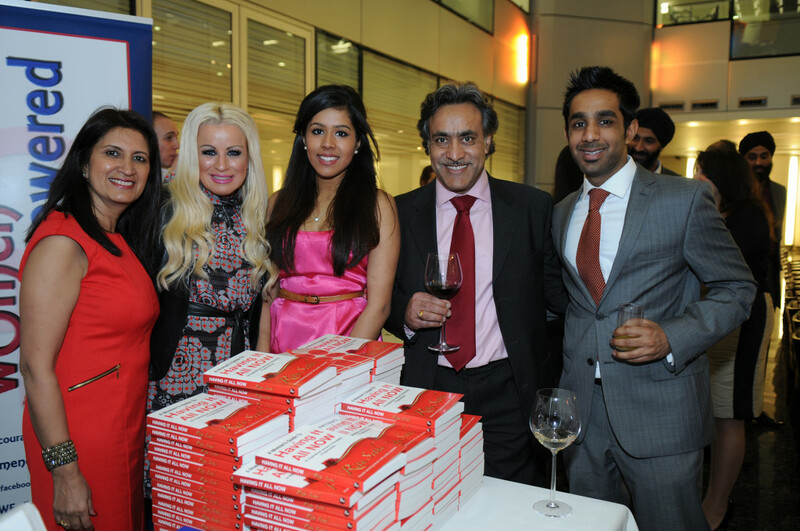 It has been nominated for “The Most Motivational Book of 2013” by the Indo British Business Forum.